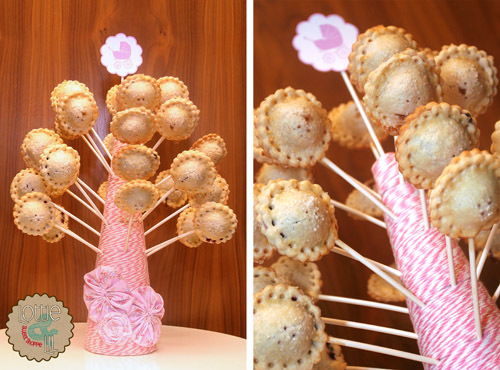 Pie pops make a great addition to any dessert table. Especially when displayed in a custom stand that coordinates to the event theme and colors. 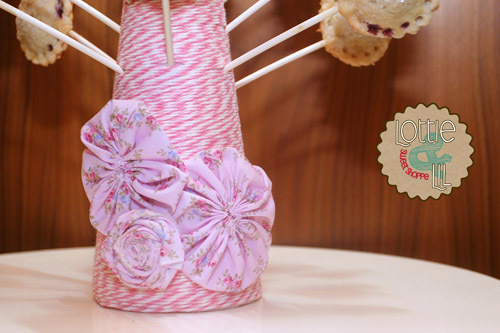 Not hard to tell these pie pops were for a baby shower or that the new little bundle is a girl! This entry was posted on Monday, March 25th, 2013 at 9:56 am	and is filed under Baby Shower Pops.